Subsequent to having double game point, Verdasco committed two consecutive mistakes for deuce. As a result of a third error in a row, Verdasco gifted Del Potro break point. 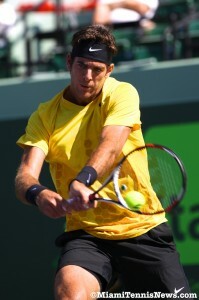 With Verdasco sending a forehand down the line wide, Del Potro took a commanding 5-2 advantage. Perhaps a tad anxious serving for the championship, Del Potro double faulted to give Verdasco break point. However, Del Potro promptly recuperated with a backhand crosscourt winner and got to deuce. By striking a backhand crosscourt winner, Verdasco arrived at another break point. Yet, because of a backhand error, the Spaniard vaporized that opportunity. Later, Verdasco netted a return which resulted in Del Potro’s third match point. 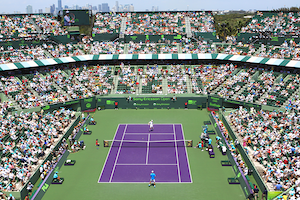 As Verdasco’s forehand crosscourt traveled out of regulation, Del Potro finally closed out the championship. Del Potro’s strong performance this week means he will climb back into the top 30 in the rankings. Estoril is Del Potro’s third career clay court title, the previous two were in 2008. Following a tough three set first round against qualifier Pedro Sousa, Del Potro has been sharp. He ousted top seed Robin Soderling in straight sets in the quarterfinals. If Del Potro maintains his current form, he will be a heavyweight at the two upcoming Masters series and at the French Open.